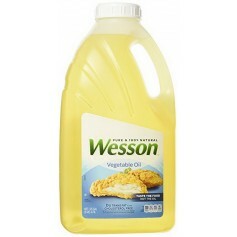 Wesson Vegetable Oil 48oz - gtPlaza Inc. 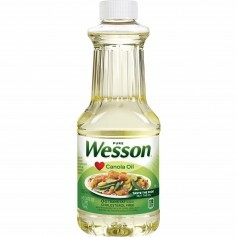 The right ingredients make the perfect flavor and with WESSON Vegetable Oil you can taste the food, not the oil. 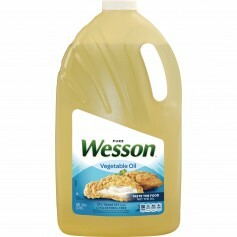 WESSON vegetable oil is a versatile, all-purpose soybean oil with a light taste that lets your cooking flavors shine through. 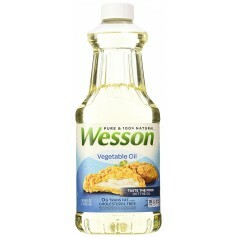 The right ingredients make the perfect flavor and with WESSON Vegetable Oil you can taste the food, not the oil. WESSON vegetable oil is a versatile, all-purpose soybean oil with a light taste that lets your cooking flavors shine through. 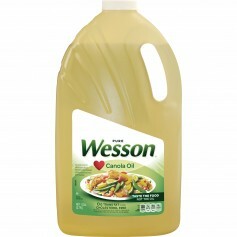 This one gallon container is perfect for frequent cooks. 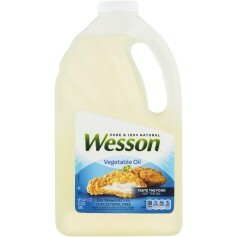 WESSON soybean cooking oil can be used to bake as a substitute for melted butter, margarine or shortening. 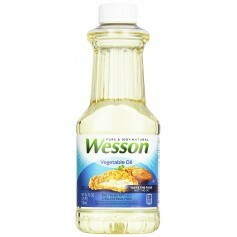 It's also great for pan frying and saut?ing chicken, meats, fish and vegetables. 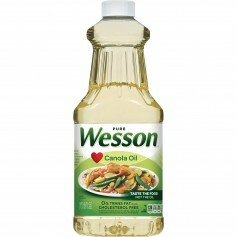 Next time you're planning a great recipe, don't forget WESSON Vegetable Oil. 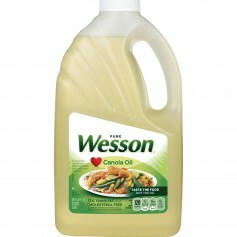 This container holds 252 1-tablespoon servings. Warning Text: Oil will burn if overheated. Do not leave unattended while heating. If oil smokes, reduce heat. If oil catches fire, turn off heat and cover pot until cooled. Do not put water on hot or flaming oil. Do not pour hot oil back into this plastic container. Instructions: Use for baking, frying & sauteing. Safe Handling Instructions: CAUTION: OIL WILL BURN IF OVERHEATED. DO NOT LEAVE UNATTENDED WHILE HEATING. IF OIL SMOKES, REDUCE HEAT. IF OIL CATCHES FIRE, TURN OFF HEAT AND COVER POT UNTIL COOLED. DO NOT PUT WATER ON HOT OR FLAMING OIL. DO NOT POUR HOT OIL BACK INTO THIS PLASTIC CONTAINER.